The Faerie Queene is a stunning achievement—and we only have a quarter of it. Spenser’s original plan was to write 24 Books. The first twelve, set before Prince Arthur’s accession to the throne of Britain, would have demonstrated twelve private virtues. The second twelve, set afterwards, would have demonstrated twelve public virtues. It would have been, by far, the longest poem in the English language. Into her mouth they crept, and sudden all were gone. Were stretched now forth at length without entrail. Where plain none might her see, nor she see any plain. The stroke down from her head unto her shoulder glanced. God held the man so wrapped in Error’s endless train. 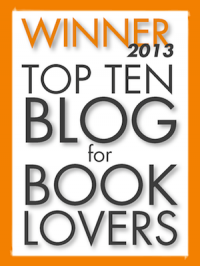 …And you can read the outcome of that epic battle in Book I, Canto I.
Edmund Spenser holds a particular interest for bibliophiles, because he was a great influence on CS Lewis, perhaps more than any others except George Macdonald and JRR Tolkien. 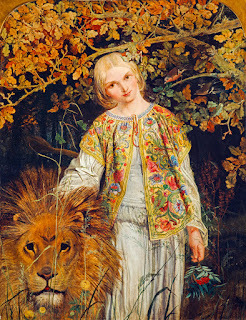 It could certainly be argued that the Chronicles of Narnia were deliberately written as a Faerie Queene for twentieth-century children. The setting (a forest kingdom), milieu (dwarfs, witches, dryads, and river-gods), and structure (one book per virtue/planet) are all very similar. Then, as I’ve mentioned previously, it always used to surprise me when people talked about CS Lewis’s “innovation” and “daring” in using pagan mythology in his Christian allegory/fantasy. And the reason why it surprised me was because I’d read Spenser, and knew that Lewis, far from being an innovator, was more traditional than his critics…because Spenser did it first, and many others before him. Which brings us to the question of the use of pagan imagery in Spenser, which is even more obvious than in Lewis. In Spenser, the gods are characters in the epic, and occasionally our characters even visit their temples. The question that immediately arises in post-Enlightenment Christian minds is, Why? Accustomed as we are to think of pagan gods as something totally evil and wrong, it’s hard to see why Spenser (and later, Lewis) could have included them. However, this is because we modernists have been stripped of all the layers of doctrine and imagery which had been built up around classic mythology by medieval Christendom. The fact is that the medievals had redeemed the gods and transformed them into something quite different from what they were to begin with. While some classical creatures are clearly evil, like these ladies. Astonishingly, the key to this literary quirk lies in the middle of Saint Augustine’s book The City of God. As I discussed in my review of that book (scroll down to the section titled “Cosmology in Augustine”), Augustine applied Scriptural tests to Neoplatonist cosmology to come up with the theory that the gods worshipped in fear and vice by the pagans were, in fact, angels being impersonated by demons. That is, the pagans actually worshipped the demons, but the demons were impersonating and twisting angelic personalities. The original Neoplatonist theory had been that the demons were mediators between blessed and holy gods, and man; that if the gods were said to do any evil, it was the work of demons impersonating them, since the blessed and holy gods could certainly not have anything to do with our diseased and fleshly world. Also, in Neoplatonist thought, the lowercase gods were creatures, created by the original Prime Mover, a “God” outside time and space altogether. So, while at the same time Augustine attacked and demolished the Neoplatonist faith (arguing for the sanctity of the material world and the personal intervention in history of a holy, just, and loving God, as opposed to a shadowy, detached Prime Mover), he preserved and in a way baptised a part of their cosmology. The blessed gods are the holy angels, he argued. They want us to worship the true God. Sir Calidore is the most popular knight in Gloriana’s court, able to make friends wherever he goes owing to his charm, manners, good breeding, sincere virtue, and courteousness. On top of this, Calidore is also a formidable warrior, and so the Faerie Queen sends him on the Quest of the Blatant Beast. 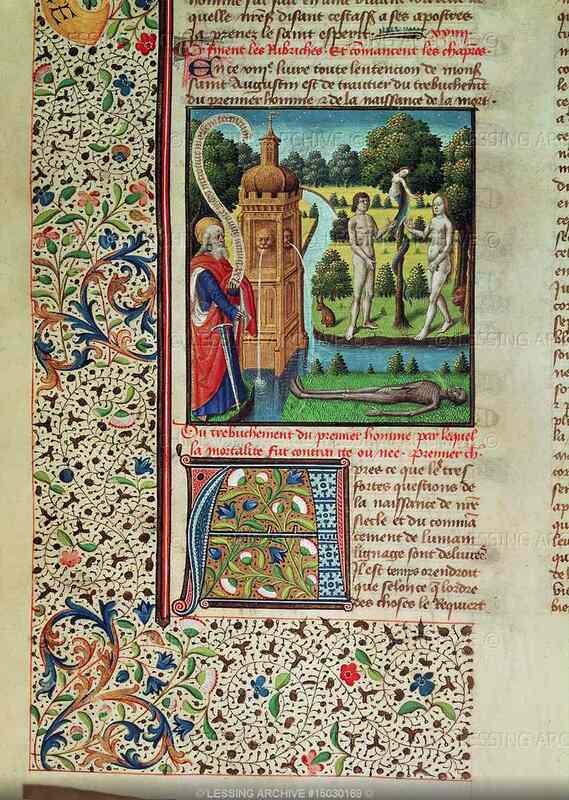 This is a ravening monster, loosed upon the world by Detraction and Envy, whose bites cannot be healed and whose bark is even worse; which runs faster than the wind, and wreaks havoc from the countryside to the court to the Church itself. Sir Calidore rides out to find and defeat the Blatant Beast, but as usual, adventures lurk by the wayside for Calidore, the Beast’s unfortunate victims, and the rustic shepherds among whom Calidore finds his true love. The virtue discussed in Book VI is the virtue of Courtesy. Here, as elsewhere, Spenser is surprising. We should all know the importance of Holiness, Chastity, or Justice but who knew that Temperance was the self-control and guidance necessary for fulfilling the cultural/dominion mandate, or that Friendship was the creative force holding the very universe together? Like Temperance and Friendship, I wasn’t sure that Courtesy was important enough to spend a whole book on. But, as usual, Spenser’s concept of the virtue was stunningly huge and entirely relevant. But with entire affection and appearance plain. In cankered malice and revengeful spite. Though Spenser's a bit more fun than Austen. This is the same point made about good manners in Jane Austen’s Mansfield Park, in which Fanny Price’s true courtesy is contrasted with Julia Bertram’s manners, which are a thin veneer to her impatient, self-willed character. Meanwhile, when Edmund Bertram discusses the role of clergy in shaping the manners and courtesies of a nation, he is clearly talking not merely about blandishments but the love of the law of God, deep down in the heart. Spenser and Austen both agree that courtesy is vital to Christian living. And they also agree that it takes a heart transplant and lots of discipline. Without justification and sanctification, there is no courtesy. The effect of courtesy is also a little unexpected. The practice of courtesy, according to Spenser, does not (as we may think of it today) mean treating everyone equally well! That smacks of egalitarianism, and we already know what Spenser thought of that. Rather, courtesy means rendering the service and duty which are required from someone in your position towards another whose position deserves it. To all of each degree, as doth behove? Great skill it is such duties timely to bestow. Courtesy is thus not merely good manners. It’s fitting service, done cheerfully. This definition may jar on modernist egalitarian ears, but I much prefer it to the modern definition, which says, treat everyone equally well (equally badly? ), but be sure to take some “me time”. Spenser’s definition is much closer to the truth: Serve everyone to whom you have a duty. Yield what you owe promptly and cheerfully. In practice, this means that courtesy involves the obedience and service due to authorities. But even this is not the bottom of the mystery. In Canto IX, an aged shepherd and paragon of courtesy finishes telling Sir Calidore of his humble prosperity by saying, “What have I, but to praise th’Almighty that doth send it?” Courtesy is inextricably linked with contentment and with gratitude and praise given to God. It is the right response not just to the Fifth, but also to the First commandment. Sir Artegall, Britomart’s fiancé, rides into the wilds on the quest given him by Gloriana, the Faerie Queene: rescue the lady Irena from the giant Grantorto, who has usurped her kingdom and thrown her in jail. Before he finds his way to Irena’s island kingdom, however, he attends the wedding of Marinell and Florimell, falls into the evil clutches of the wild Amazon queen Radigund, and teams up with Prince Arthur to fight a whole series of unjust tyrants. Book V of The Faerie Queene is the one CS Lewis liked least, for reasons I’m not sure I understand, since just like the others it’s another ripping yarn full of monsters, battles, and eternal truth. If I was to guess, however, it would be that this is where you’ll find the most pronounced political allegory since Book I. In his meditations on Justice and Injustice, Spenser drew heavily on current events from the trial of Mary, Queen of Scots and the quelling of an insurrection in Ireland to the Spanish occupation of the Netherlands and some severe words about Henry of Navarre’s capitulation to the Roman religion. I didn’t mind these historical allusions at all—they fitted neatly into the story and provided some interesting commentary on how those events were viewed by our Protestant forefathers. Book V also represents a return to the format of Books I and II—unlike Books III and IV, which followed the intersecting doings of a large cast, this book stays mostly with Artegall and his quest to free Irena, with brief detours to follow Prince Arthur and Britomart. So let’s look at how Spenser develops the concept of Justice in Book V. To begin with, Artegall, the personification of justice, bears a name meaning “Arthur’s equal”. While some of the knights of the Faerie Queene are comically inept at their jobs and none of them are perfect, Artegall or Justice may be the most capable so far, most nearly equal to the epic’s central figure Arthur, who displays the virtue of Magnificence (or Magnanimity) and also contains in himself the other eleven private virtues which The Faerie Queene would have depicted, had Spenser gotten that far. This is Artegall. Or Sam Vimes, I'm not sure. Talus, on the other hand, represents the blind, iron agent of the Law who inexorably hunts down or punishes evil-doers. A stern and effective ally, Talus handles executions and investigations, but cannot take the place of Artegall’s judicial discretion, and must be restrained, once he begins killing, from killing everybody. Britomart only appears in part of Book V when Artegall is captured by the Amazon queen Radigund. In this Book, Britomart represents the need of Justice for Love, or more accurately—as suggested by the canto in which she visits the temple of Isis—Equity, which is the legal form of Love. However, her main task in Book V is to rescue Artegall from Radigund. Radigund had captured Artegall when she’d convinced him first to fight by her rules, and then taken advantage of his softness toward her when he saw her beauty. By contrast, Britomart insists on fighting Radigund according to the usual rules of chivalry, and then splits her head in two at the first opportunity. For of course, Artegall’s gentleness to Radigund wasn’t true equity. Radigund, of course, represents an evil force which it turns out the Elizabethans were just as familiar with as we are: Feminism! This was fascinating for a number of reasons. First, because Spenser wrote his poem in praise of a Queen, Elizabeth I, whom he butters up in a previous book by saying that men have too long ignored the leadership capacities of women. As a matter of fact, the 1500s saw the rise of a number of powerful women rulers from the good (like Jeanne D’Albret) to the indifferent (like Elizabeth—sorry, Spenser) to the downright diabolical (like Catherine De Medici). 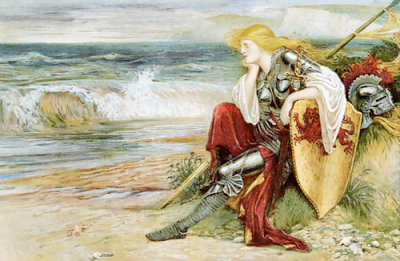 Second, because there are a few action girls in Spenser, including Britomart as well as Palladine and Belphoebe. However, Spenser’s appreciation of strong women doesn’t extend either to egalitarianism or to feminism. His action girls represent militant feminine virtue, not women in the military. And his queens, like Mercilla or Gloriana, rule in a way that inspires manliness in their knights, rather than mocking and defacing it, like Radigund. To men’s subjection, did true Justice deal. There’s so much to like about this quotation. One implication is that women of strong character, not men, are the right people to police women and resist the tendency to feminism—which fits well, I think with Titus 2. Another is, of course, the assumption that women with authority and influence aren’t bad per se. But perhaps the most heartwarming thing is the statement that true Justice is anything but egalitarian. And uncontrolled freedom to obtain. Artegall, however, answers the giant that God has created all things according to their right place. “Such heavenly justice doth among them reign, That every one do know their certain bound.” Heavenly justice is knowing one’s own place. And as they were, them equalise again. And all the wealth of rich men to the poor will draw. Notice that the giant defines tyranny as making men subject to law. But as the book goes on, we’ll see Artegall battle tyrant after tyrant, all of whom make men subject to their lawlessness (since it is Artegall and Talus, Justice and Law, who are called upon to set things right). That’s the true definition of tyranny. And this is a true picture of justice. All creatures must obey the voice of the Most High. Nor ever any asketh reason why. The dales do not the lofty hills envy. He gives to this, from that he takes away. For all we have is his: what he list do, he may. Heavenly justice comes into play several times in the book. While Artegall represents faithful human justice, the destruction of the Soldan who oppresses Queen Mercilla, together with the fate of his wife Adicia, represents the unmediated justice of Heaven at work. One final aspect of Justice shown by Spenser in this book is how often Justice is both attacked with guile and withstood by guile. The difference, of course, is between treachery aimed at subverting the truth on the one hand, and stratagem employed to reveal the truth on the other. Even Guile itself, one of the monsters taken care of by Arthur and Artegall on their way, is caught by guile: the knights ask a damsel friend of theirs to sit outside Guile’s cave and weep loudly to catch his nefarious attention! Book V of The Faerie Queene was, more than the others, a fascinating look into the politics and civic mores of Spenser’s day. As usual, I have only skimmed across the top of this Book; there is too much here to discuss in one short post, from the symbolism of each specific form of injustice, to the odd little stanza where Spenser discusses the importance of a knight’s knowing how to swim! Britomart and Amoret ride out in search of their loves: Amoret’s husband Sir Scudamour, who thanks to the shrill hag Discord now believes that the strange knight who went to rescue his bride did so out of basely personal motives and now can’t wait to see the colour of Britomart’s insides. And Britomart’s destined love Sir Artegall, who having been unhorsed by the armoured Britomart at a tournament he was attending incognito, has been stewing over the injustice of it all and is right in line behind Sir Scudamour, ready to mash the stranger into a fine paste. Meanwhile the fickle Sir Blandamour and the vapid Sir Paridell with their ladies Duessa (Falsehood) and Ate (Discord) make their way to the tournament given by Sir Satyrane. On the way they encounter the two knights of Friendship, Cambell and Triamond, with their gentle ladies and epic backstory. I thoroughly enjoyed this instalment of The Faerie Queene. It truly contains some of the most melodramatic and epic moments since Book I, including Britomart and Artegall’s first meeting, Florimell’s rescue, and the amusing cowardice and vapidity of Blandamour and Paridell—to say nothing of the backstory of Cambell and Triamond, which begins with Cambell killing Triamond’s eldest brother by pulling a spear out of the wound in his head and flinging it right back at his opponent, and ends with Triamond’s sister arriving by lion-drawn chariot, as one does. Oddly, however, although this book is named after Cambell and Triamond, they only appear in a few cantos; meanwhile, this is the first book in which there is no quest achieved at the end, although Britomart does achieve her personal quest of finding Artegall. This book reads more like the sequel to Book III and the bridge to Book V, Artegall’s book, than anything else. Here the stories of Belphoebe and the Squire, of Amoret and Scudamour, and of Florimell and Marinell are wrapped up. But this book deals with a different, though related theme. Book III’s theme was Chastity, especially in Love (mere lust was dealt with in Book II, Temperance). Book IV is also about Love, though of a slightly different sort: it is about Friendship. Friendship was not something that seemed very epic or melodramatic to me when I flipped the page over to The Legend of Cambell and Triamond. It seemed to me the substance not so much of classic epic as of stained-glass platitudes and motivational posters. Within the very first canto, however, Spenser had completely changed my mind, and as the sensational story of Book IV wound to its end, I found myself amazed by his rich and profound definition of the virtue. The first half of the book discusses friendship simpliciter—the friendships of Britomart and Amoret, of Cambell and Triamond, and of Blandamour and Paridell. Spenser repeatedly states that true friendship must be founded upon a mutual pursuit of virtue, which enables the first two friendships. On the other hand, as the “friendship” of Blandamour and Paridell shows, an alliance built on vice and self-gratification will last only as long as it’s in the interest of the parties, and is under constant danger of devolving into treachery and petty backbiting. True friendship is literally impossible without moral goodness. Britomart claims the girdle of Florimell for Amoret at the tournament. In Ate, the hag Discord, Spenser gives a confronting picture of the opposite of Friendship. As the mortal enemy of Concord, Discord has sparked massacres and defeated magnificent empires. She is murderous and double-tongued, containing all discordant opposites within herself. Fittingly, she travels about with the double-minded Blandamour and Paridell. Most chillingly of all, Discord’s malice is such “That even th’Almighty self she did malign…For all this world’s fair workmanship she tried Unto his last confusion to bring.” Concord holds not just friendship but the very fabric of creation together. And Discord lives to unmake the bonds of Love, Friendship, civilisation, and creation itself. By contrast, Cambell and Triamond embody the grace (Spenser’s word) of concord, which (fittingly) was given to them without their intention or assent in the midst of a duel to the death. In the cantos in which they appear, these two wonderfully demonstrate the selflessness and love of Friendship, each preferring the other before than himself. Their wives Cambina and Canacee are also contrasted with Blandamour and Paridell’s ladies, Ate and Duessa. While those villainous vamps take every opportunity to stir up strife and discord, Cambina and Canacee demonstrate what Spenser describes as women’s special duty to make peace and smooth over discord. Even early on, during the duel between Cambell and the three brothers of whom Triamond is the last, Cambell was protected by his sister’s ring; the three brothers by their mother’s deal with the Fates. The love and friendship of Cambina, Canacee, and Triamond’s mother protects and makes peace. And looser thoughts to lawful bounds withdraw. They spend about fifteen minutes goggling at each other like this. Spenser’s conception of Friendship is therefore closely related to Love, both in this episode and in the book as a whole, which is a close continuation of Book III. In this book Sir Scudamour tells the story of how he and Amoret met, in the Temple of Venus after he’d defeated twenty knights. 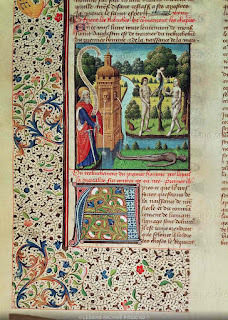 This tale, coming near the end of the book, contains one of the contrasts that Spenser is so fond of—he balances the House of Pride with the House of Holiness in Book I, the Bower of Bliss of Book II with the Garden of Adonis of Book III, and the fearful Discord of Book IV with the sweet Concord that keeps the door of the Temple of Venus. Outside we find not just lovers but also friends—Damon and Pythias, David and Jonathan, and others. On the steps of the Temple sits Concord with her two sons Love and Hate whom she somehow keeps in friendship (notice the motif of woman as peacemaker again). Concord is what binds creation together, we are reminded; meanwhile within the Temple of Venus itself, we find grave Womanhood, goodly Shamefastness, sweet Cheerfulness, sober Modesty, comely Courtesy, soft Silence and submissive Obedience. The statue of Venus in the midst of the temple is veiled; why no-one knows for sure, although Sir Scudamour suggests that it is because she is Hermaphrodite, both sexes in one flesh. In this image comes together all the imagery of chastity, friendship, concord, and discord. The statue is veiled because what the medievals knew as the “act of Venus” is private. But consider the implications. Friendship is Concord. Concord is the reconciling of opposites: the love of the different, even the love of what naturally seems to us unlovable. Concord binds creation together; it is, in fact, the creative and generative force. In some ways, the most profound image we have of Concord and thus of Friendship comes within marriage, which itself symbolises the love binding the Trinity together (CS Lewis points out another reason for the statue to be veiled: it’s a symbol of God). Meanwhile the impliedly sweet and harmonious reconciling of opposites within the statue mirrors and contrasts with the harsh and discordant opposites seething within Ate, with her double tongue, twy-facing feet, and so on. 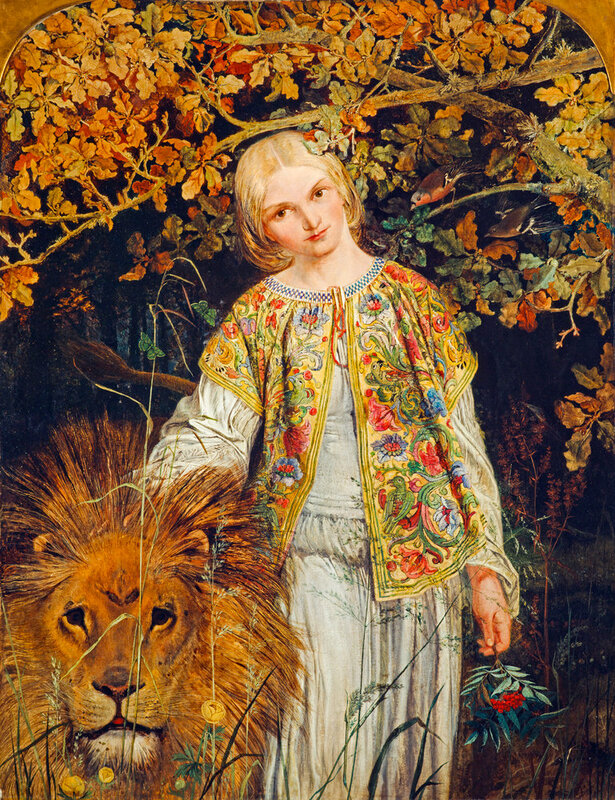 Just as Chastity was discovered to be a greater virtue than Temperance in Book III, so Friendship is discovered to be greater than Chastity in Book IV, since it encompasses the very power that binds creation together—the harmonious love between differing and even opposing principles (think of Artegall’s first meeting with Britomart). In Book III, we discovered the importance of True Love; but in Book IV, we discovered something more all-encompassing, which Spenser calls Friendship. 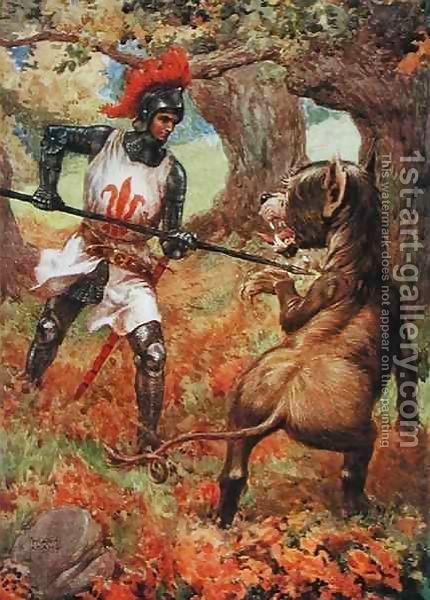 Sir Guyon and Prince Arthur set out for more adventures and almost immediately meet a strange new knight who effortlessly unhorses Sir Guyon. 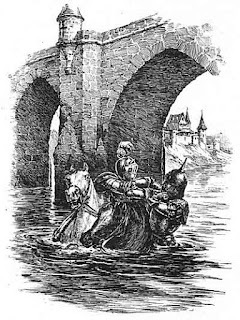 Not long after, the three knights are surprised to see a beautiful woman fleeing in terror from a savage forester, and the party splits up: Prince Arthur and Sir Guyon chase the lovely Florimell, who has left the safety of Gloriana’s court to find the man she hopelessly loves, Marinell. Prince Arthur’s squire Timias follows the forester, and after some thrilling adventures finds himself being nursed back to health by the lovely but aloof Belphoebe, who was brought up by the goddess Diana herself. The strange knight travels on and helps out the Redcrosse Knight, who is in a spot of trouble—the six henchmen of Malecasta (“Unchaste”), who represent the six stages of lechery, are about to kill him if he doesn’t yield up his love for Una and take Malecasta as his mistress. 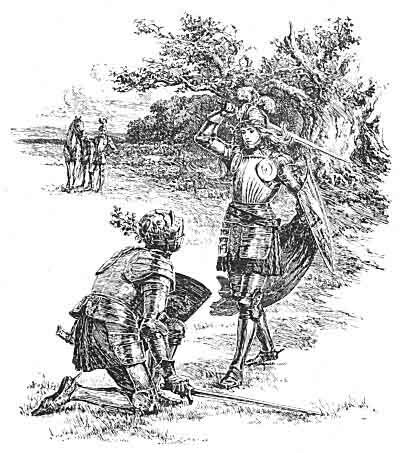 The two knights escape from Malecasta’s castle, but not before the stranger is wounded by the arrow of the first henchman—Gardante, or Seeing. Seeing has indeed undone this strange knight. 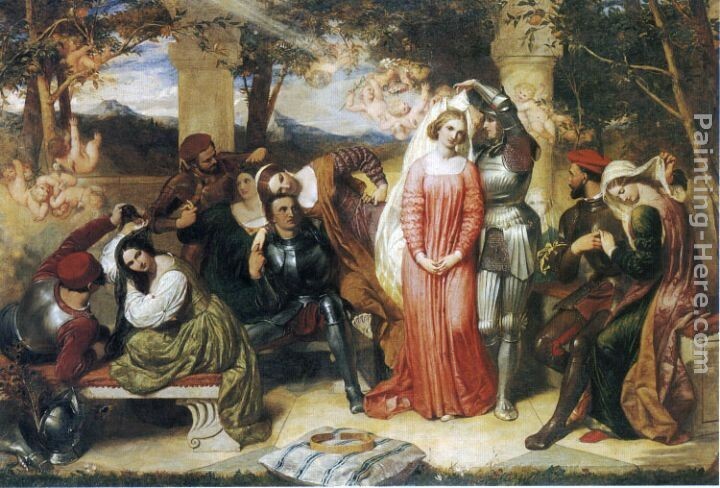 Britomart, a princess of Britain, looked into her father’s magic mirror and saw the knight she was destined to wed—Arthegall, a knight of the Faerie Queene. Unable to forget him, she disguised herself as a knight and with the help of her old nurse Glauce as a squire and an enchanted lance which will unhorse any opponent, Britomart travels to the land of Faerie in search of her love. Now she roams the forest, facing one adventure after another, and helping to flesh out a detailed picture of the virtue she represents: Chastity. Book III of The Faerie Queene was difficult to unravel, partly because I had little help on my way but also partly because in this book, the format of Spenser’s stories begins to change. While in the two previous books we followed single knights on single quests, here both the story and the allegory is diffused among various knights on different quests, and even Britomart achieves a different quest in this book to that which she set out on. Most of the plotlines begun in Book III are not resolved at the end: Book IV will continue the stories of all four major female characters. We shall understand it best (though this may seem paradoxical) by not trying too hard to understand it…Allegory is not a puzzle. As each place or person is presented to us in The Faerie Queene we must not sit down to examine it detail by detail for clues to its meaning as if we were trying to work out a cipher. That is the very worst thing we can do. We must surrender ourselves with childlike attention to the mood of the story. I followed this excellent advice while reading Books IV, V and VI and found them much easier to interpret. Book III develops the theme of chastity in some of the same ways previous books developed their theme: a hero representing the virtue faces various allegorical challenges to that virtue before triumphing. However, instead of one hero, the virtue of chastity is developed through several heroines. Also, unlike Redcrosse and Guyon, the previous knights, Britomart makes no serious missteps and does not need the help of Prince Arthur. 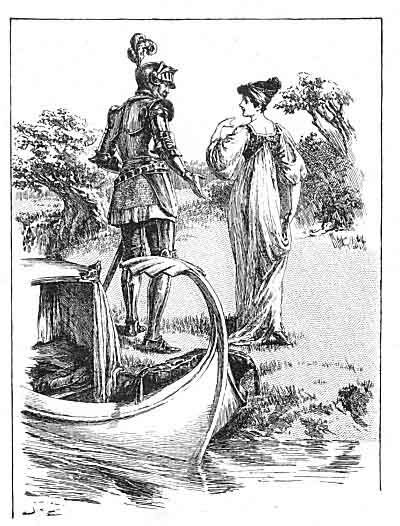 Rather, she herself comes to the rescue of Sir Scudamour, whose wife Amoret is being held captive by the enchanter Busirane. Sir Guyon is a stout Faerie knight setting forth on another of his Queen’s dangerous missions. This time, it’s a dangerous witch named Acrasia who has been beguiling and seducing knights in her Bower of Bliss, and turning them into beasts when she tires of them. 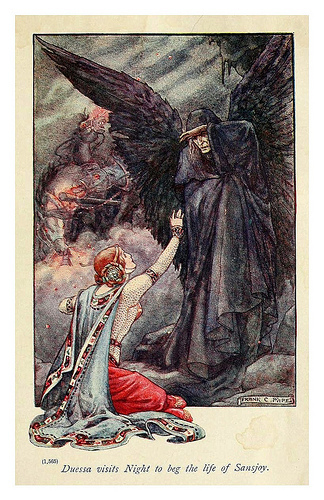 When Guyon and his guide—a sober Palmer—stumble upon a dying lady in the woods, and hear how her husband was deceived and then killed by the ruthless Acrasia, Guyon swears to the lady that she will be avenged. But although he’s mighty in battle, Sir Guyon still has much to learn about self-control and listening to wisdom before he is ready to face the tempting Acrasia. If Book I of The Faerie Queene was about Holiness and spiritual discipline, Book II is about Temperance and physical discipline. While Redcrosse’s great foes were Pride, Falsehood, and the devil, Sir Guyon’s foes include every kind of intemperance. But what exactly is temperance? These days perhaps we connect it with teetotalers rather than with the huge, full-orbed definition developed by Spenser in this book. Temperance, in summary, appears to be the righteous man’s disciplined approach to the physical world, and is connected to self-control and dominion. What shall it profit a man, if he gain the whole world, and lose his own soul? Temperance thus is partly about the shunning of intemperance in every form. Wrath, lust, worship of Mammon, greed, gluttony, immoderate mirth, and many other dangers attack Sir Guyon, who must resist them in all their forms. But, according to Spenser, temperance is not just a negative, don’t-do-that virtue. The name “Guyon”, says Toby Sumpter, means something like “lively struggle.” The temperate man sees the dangers of intemperance, and behaves aggressively towards them. He is a man of action rather than thought; he knows what to do in every situation. He constantly seeks wisdom, especially the wisdom of others (like Medina, the Palmer or Prince Arthur), to keep him on the straight, narrow path. And he is whole-hearted and vigorous in all his actions. Keeping to the straight and narrow path does not simply mean taking a moderate course. It does mean refraining from stumbling into the dangers lurking on each side of the path, like the paired Scylla-and-Charybdis dangers of the voyage in Canto XII. However, it also means following that path to the utmost. Guyon, sent to capture Acrasia and destroy her Bower of Bliss, enters that place kicking over cups and breaking staves. He takes the gorgeous, plastic, flower-covered, gilded and shiny Bower of Bliss and destroys it with “rigor pitiless”, transforming it from a place of beauty to “the foulest place”—think Las Vegas after a visit from Godzilla, or a Thomas Kinkaid painting dropped in the mud. Oops! Fancy that, I accidentally brought you to my sultry island paradise! It may seem intemperate, or at least not very nice, for a champion of temperance to charge around kicking things over and trampling flowers into the mud like Guyon does. But this is a classic Spenserian insight: sentimental florally niceness and tacky ornament represents just as much of a failure to exercise dominion over creation as mindless savagery. Kitsch and sentimentality are the signs of vigour-sapping evil. The right response is to introduce a little blood and mud into these painted paradises. I devise that the Faery Queen kept her Annual feast twelve days, upon which twelve several days, the occasions of the twelve several adventures happened, which being undertaken by twelve several knights, are in these twelve books severally handled and discoursed. The first was this. Meet the Redcrosse Knight, better known as Georgos, the ploughboy, until just a few days ago the Faerie Queene gave him a terrifying mission: travel with the gentle princess Una to the kingdom of her parents and rid it of a horrible dragon. They’ve started on their quest together, but the bold and inexperienced Redcrosse can’t possibly imagine what dangers and griefs lie ahead for both himself and the sweet Una, with whom he’s already half in love. Soon they are deceived and parted by a rascally wizard, and Redcrosse falls for the sad story of a gorgeous woman he finds in the wilderness. While Una faces wild beasts, robbers and villains, Redcrosse finds himself in far more insidious danger. Will Una find her knight, will Redcrosse develop the holiness he’s supposed to symbolise, and how about that dragon? Or what about this? Holiness and Truth team up to defeat the Devil. Hypocrisy separates Holiness from Truth, leaving her at the mercy of Natural Law and Unsaved Man, who are unable to rescue her from Lawlessness until Christ comes to her aid. Meanwhile, flattered by Falsehood, Holiness is tempted by Pride and the other Seven Deadly Sins, and finally overcome by Fleshly Confidence. Will Truth find her natural protector, will Holiness learn from his mistakes, and how about that dragon? Or maybe this? The baby Reformed Church under the guidance of Queen Elizabeth I sets out to defeat the Devil, but then Politics separates the Church from Truth and the Church begins a dalliance with Mary, Queen of Scots, or is maybe taken in by the Romish Church, leaving the Truth to the rude protection of Henry VIII. Philip II plays a baddie, and things rapidly run downhill until the Earl of Leicester, or possibly Sir Walter Raleigh, pulls England’s act together. 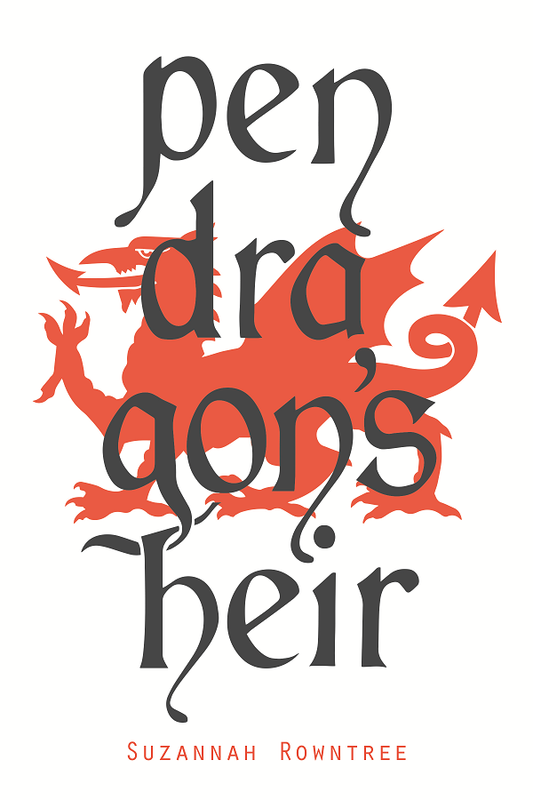 Will the Reformed Church become strong enough to slay the dragon? All these interpretations fit, and this is what makes the allegory so rich and pleasant to read. But another thing is the fact that the characters, although they so delightfully portray the virtues or evils they are chosen to represent, have their own life. Una may be Truth, but if this is so, Truth has a lot of personality. She is more than a concept. 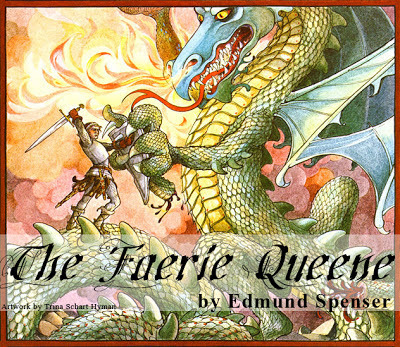 Book I of The Faerie Queene, a retelling of the old legend of St George and the Dragon, is probably the most well-known section of the work. It’s a self-contained story in which the allegory happens on a multitude of levels, which allows Spenser to focus on the gripping plot instead of letting the symbolism hijack the story. There is so much goodness in this book; reading it is an education in itself; partly, of course, on account of the symbolism, mythology, literary allusions, cosmology, and language involved. But the moral element makes it worth reading purely on that account. Every canto provides something to chew on. How about the profound insight that escaping from sin can cause our downfall if we succumb to pride in our own strength? How about the way that Spenser contrasts the House of Pride with the House of Holiness, and Blind Devotion with far-seeing Contemplation? Or the contrast of the lures of Pride with the yet-stronger challenge of Despair? Spenser weaves this imagery skillfully into the plot. One major theme is the necessity for Holiness to be allied with Truth. In the poem these are represented by Redcrosse and Una respectively. I would call these two the brawn and brains, but Una is more than clever—she is wise; while Redcrosse, in addition to being good in a fight, is nice but clueless, with the clueless niceness of the unwise Christian (Roy Maynard calls him “Sir Clueless” and it fits like a glove!). These two start out cutely in love, but Redcrosse, symbolising the Christian everyman, doesn’t yet realise the importance of Truth and fails to listen to good advice. Later, when they get separated, their pathetic, tear-jerking adventures underscore the fact that neither has a hope of surviving without the other. Una needs a protector if she is not to be at the mercy of every passing ruffian; and Redcrosse needs an advisor if he is not to be at the mercy of every passing nicely-dressed witch; meanwhile, Natural Reason—the Dwarf who opens his eyes to the dangers of the House of Pride--can only bring him so far. But put them together, and nobody can withstand Truth and Holiness. And to him said, 'Fie, fie, faint-hearted knight. What meanest thou by this reproachful strife? With that fire-mouthed Dragon, horrible and bright? Nor devilish thoughts dismay thy constant sprite. Why shouldst thou then despair, that chosen art? And that accursed hand-writing doth deface. Readers should also appreciate the way Spenser’s Christian worldview is woven into the foundations of the work itself. During Spenser’s time, the Bright Young Things of his day were turning away from medievalism to Renaissance humanism. 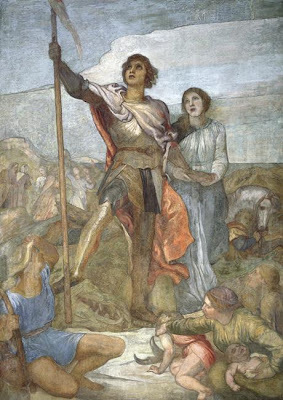 CS Lewis says, “[H]e turned his back on the strict humanists, who would have wished him to write a pseudo-classical epic, closely modeled on Virgil.” Prince Arthur, the major character and hero of the Faerie Queene as a whole, may be a concession to the humanist model of literature that demands an omni-capable hero representing the best of humanity. But Spenser subverts this by using allegory. All his characters symbolise something and teach something deeper than the surface; they do not exist merely for entertainment, but point to a deeper truth. And Prince Arthur symbolises the Man who combines in his person all the virtues in perfection: Christ. 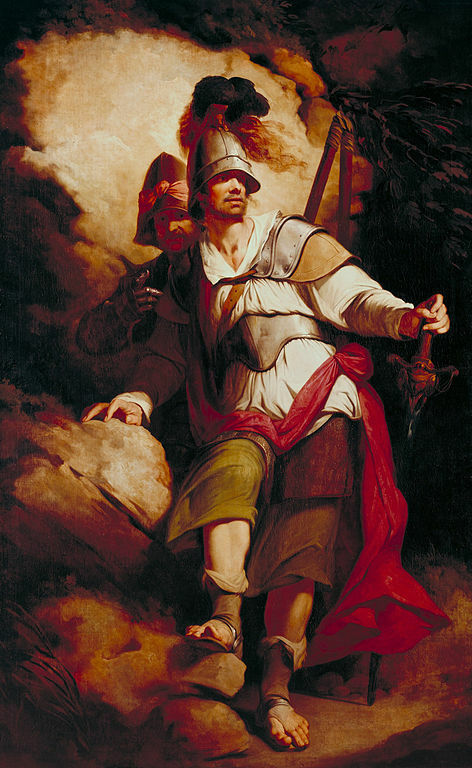 As here in Book I, he appears throughout the poem to rescue and comfort the knights. 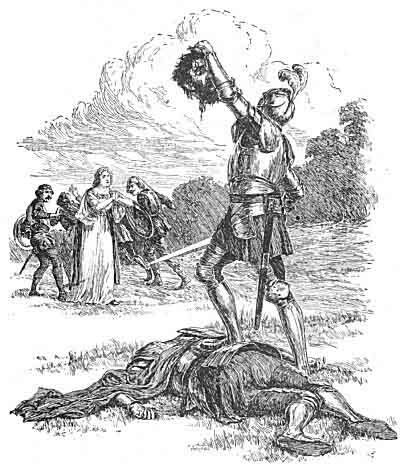 By incorporating the allegory into his adventure, Spenser allowed himself to use a human hero who symbolised something much bigger. Notice that, like Tolkien’s, Spenser’s Christ-figure is also distanced from the reader: Arthur only ever appears briefly, to rescue or help our major characters and then to disappear. We do not follow his struggles as we follow Redcrosse or Guyon. This is the second time I’ve read Book I from beginning to end, and I loved it just as much this time as well. It’s a magnificent, epic story of love and war woven around the gentle but gumptious Una and the clueless but courageous Redcrosse, as well as other vivid personalities like Duessa and Archimago. The story is gripping, the action scenes must be read to be believed, and the doctrine is sound. I once again read Book I of The Faerie Queene in the version edited by Roy Maynard, published by Canon Press, and titled Fierce Wars and Faithful Loves. I wholeheartedly recommend this version to everyone making their first acquaintance with Edmund Spenser, and to home or Christian schools wanting a comprehension study guide. Art selected to prevent misconceptions about pink tutus and sparkly wands. 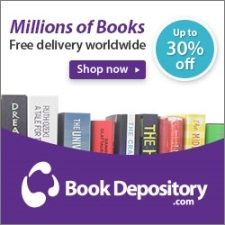 This week, we’ll be looking at a book so wonderful that I expect all of you to rush out and buy copies of it as soon as you’ve finished reading this blog series, especially those of you who like Calvinists, history, or thrilling tales of adventure, which should account for all of you. Edmund Spenser’s unfinished epic poem The Faerie Queene is English Lit’s best-kept secret. Not only is it a series of epic quest stories sprinkled liberally with battles, gore, monsters, and romance; it’s also a series of profound meditations on the Christian life and virtues, and on top of that, the whole thing symbolises the Reformation. Spenser himself was either a Puritan, or, at the very least, so strongly influenced by them and friendly towards them as makes no difference. His work combines gripping adventure with solid moral teaching and commentary on the political affairs of his day. And I can’t recommend it enough. I read The City of God over six months last year in a translation by Henry Bettenson which runs to 1091 pages in my Penguin Classics edition. As Joe Morecraft says, this is a book on everything. I am not going to review it; all I feel that I can do is gesture helplessly in its general direction. 410 years after the birth of Christ a general of the Roman army marched his troops, mainly composed of barbarian-born Romans, into Rome and sacked it as part of one of the never-ending civil wars that racked the empire. The general's name was Alaric, and he had done something nobody else had succeeded in doing for the last 800 years of the city's existence. As the civilised world reeled from the shock, the pagans of the Roman world pointed with bitter triumph to the cause of all their woes: Christianity. This was clearly the work of angry gods, they argued, and had it not been for the heresy of Christianity the empire would have remained as strong as ever. The Christians were already traumatised by the horrific events of the sack, and to be attacked by the pagans must have made some of them wonder if what they believed was in vain. To their defence came one of the most brilliant minds and one of the most devout Christians of all time. For them he wrote one of the greatest and most influential books of all time. In it he first attacked and destroyed the arguments of the pagans, demonstrating that paganism had never made Rome great to begin with; and then he exposited the Christian worldview with its beauty, truth, and goodness. The world recovered from the sack of Rome. It is still staggering under the glorious weight of The City of God. Wherever men discuss the meaning of good and evil, or human love and the love of God, or the nature of justice, or the unity of the Church and relations of church and state, the argument often turns on references to Augustine’s thought. … A reading of Augustine belongs to the discovery of our own intellectual and spiritual ancestry. It was he who in the fourth century gave to Western civilisation the formative ideas which have guided it for centuries. Whoever would know the structural ideas of the Christian tradition and Western philosophy, which have shaped our minds for fifteen centuries, must know Augustine. This was why I had to read this book. This forms the framework for the whole twenty-two-volume book, first in its discussion of the abject failures of the earthly city to find truth and salvation and second in its glorious vision of the City of God.